Wellsford Dental | DENTAL SEALANTS | Protect your teeth against decay. Dental sealants protect the depressions and grooves of your teeth from food particles and plaque that brushing and flossing can’t reach. Help seal your teeth against decay by talking to us about applying a sealant to your teeth. Run your tongue across the chewing surface of your molars. Can you feel all the bumps and grooves called “pits and fissures”? Well, these areas just so happen to be perfect for trapping food and plaque, which can cause tooth decay. Highly effective in preventing decay on the biting surfaces of your chewing teeth, dental sealants are a simple procedure in which a tooth-coloured acrylic “coating” is applied onto the surface of the tooth. This effectively “seals” the deep grooves, acting as a barrier and protecting enamel from plaque and acids. “Sealants on permanent molars reduces the risk of cavities by 80%” as sourced from the Journal of American Dental Association, July 2016. Thorough brushing and flossing generally help remove food particles and plaque from smooth surfaces of the teeth. However, toothbrush bristles cannot reach all the way into the depressions and grooves to extract food and plaque. Commonly referred to as pits and fissures, these grooves are often too deep to reach with the bristles of a toothbrush, leading to situations where bacteria can easily collect and grow. As a result, back teeth can often be much more susceptible to plaque buildup, particularly in children. By acting as a barrier for these vulnerable sites, sealants help to prevent decay and other oral health concerns. The shields are strong enough to withstand the forces of chewing, and with proper care, they can last many years. Sealants are very useful in children, they prevent the decaying of their teeth since they don’t know how to brush their teeth thoroughly yet. This reduces the pain of having constant cavities and fillings. Sealants are equally beneficial in adults as they are an effective safeguard against decay to any permanent teeth. Sealants last for many years, protecting your teeth the entire time. The teeth are easier to clean after the procedure, because it gives a smoother surface. Children will especially enjoy brushing their teeth because the grooves and roughness on the chewing surface will be smooth. Future proofing your teeth from cavities can save you time and money. This is in terms of having fewer fillings in future years, and also there is a saving where perhaps a more expensive procedure like a root canal would have been needed later if they had not had a sealant put in. 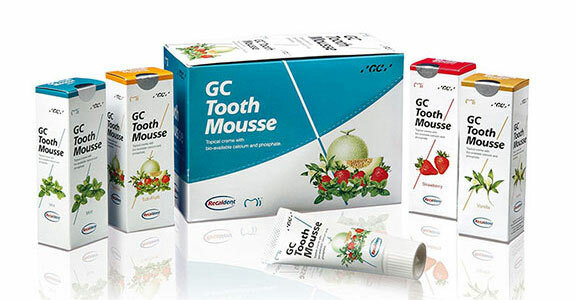 In addition to Dental Sealants we also recommend GC Tooth Mousse for preventative care. GC Tooth Mousse is a great addition to your oral home care products, especially if you suffer from an increased risk of dental decay. It is an exciting preventive material to prevent decay in high risk patients and heal early areas of decay. It is also very useful for people suffering from tooth wear, sensitivity, or mild fluorosis. Tooth mousse is a water-based crème that contains Recaldent CPP-ACP (Casein Phosphopeptide-Amorphos Calcium Phosphate) which has the ability to deliver biologically available calcium and phosphate required for the regeneration of dental enamel. Note: Tooth mousse does not contain lactose, however it is contraindicated for patients with milk protein allergies. It is sugar free and comes in five flavours. Tooth Mousse can be used by all ages. Mousse Plus that is recommended for ages 10+ contains fluoride. Who should consider getting a dental sealant? Pits and fissure decay can begin early in life, so sealants are often recommended as soon as baby or adult teeth fully emerge. 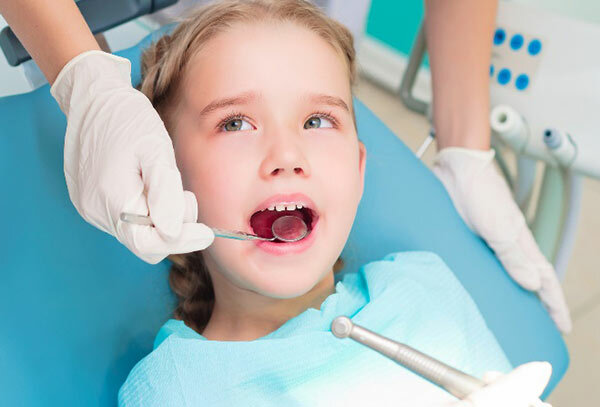 Children and teenagers aged 6 to 14 are the most common candidates for the procedure, and kids with particularly deep grooves in their developing teeth may also benefit from early protection. 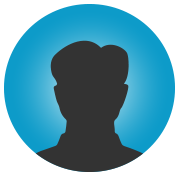 Furthermore, the advantages offered by sealants can be beneficial for adult patients as well. How long do the sealants last? 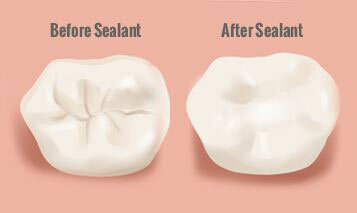 Sealants hold up well under the force of normal chewing and can last several years before a reapplication is needed. Although dental sealants are not a cure-all in preventing tooth decay, they are cost effective and helpful to patients – particularly children – in controlling decay. Sealants are proven to prevent tooth decay. Or goal is to help preserve your smile throughout your life, and sealants help make that possible. What is the process of placing a Sealant? 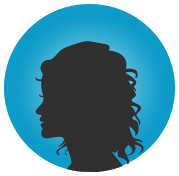 What to do after the sealant is placed? Sealants can take a day or two to completely harden, and tiny bits of excess material may shed during this time, but this is normal and not a cause for concern. No diet changes are required, but you should try to avoid certain hard, sticky, or chewy foods that can wear down the sealant or pull it off completely such as Ice cubes, Liquorice, hard candies, fruit snacks or gummy bears, caramel or toffee. While these foods do not need to be avoided completely, minimizing consumption will help to prolong the durability of your sealants. During regular check-ups, we will examine the condition of your sealant to determine if a new application is recommended.